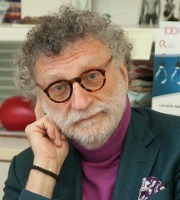 Jean-Michel Glachant is the Director of the Florence School of Regulation and Holder of the Loyola de Palacio Chair at the European University Institute (EUI). He took his Master’s degree and Ph.D. in economics at La Sorbonne in France. He worked in the industry and private sector before becoming assistant professor at La Sorbonne, associate professor and finally full professor. Glachant left La Sorbonne for University Paris Sud in Autumn 2000 where he took the direction of the department of economics and founded the research team ‘Groupe Réseaux Jean Monnet’ and later the European Erasmus Mundus Master EMIN (“Economics and management of network industries”). He has been advisor of DG TREN, DG COMP & DG RESEARCH at the European Commission and of the French Energy Regulatory Commission (CRE). He is or has been coordinator or scientific advisor of several European research projects (SESSA, CESSA, Reliance, EU-DEEP, RefGov, TradeWind, Secure, Optimate, THINK, Towards 2030). He is a research partner in the CEEPR at MIT (USA), and the EPRG at Cambridge University. He is editor-in-chief of EEEP: Economics of Energy & Environmental Policy (an IAEE journal) and a member of the Council of the International Association for Energy Economics. He is also on the editorial board of the journalsCompetition and Regulation in Network Industries, European Energy, Latin-American Economic Review, Annals of Public and Cooperative Economics, and Revue d’Economie Industrielle. Glachant has been member of the “EU-Russia Gas Advisory Council” of former European Energy Commissioner Oettinger, member of the Steering Committee of the International Conference on the European Energy Market (EEM . He has recently published the books ” uilding Competitive Gas Markets in the EU” (Edward Elgar “the Manufacturing of the Markets” (Cambridge University Press, 2014).